On Labor Day weekend last year, God led me to a very abrupt decision. He called me to leave the church I was serving. Things seemed to be rocking along fine, but He made it clear it was time to go. That week, four churches contacted me. However, God would not release me to take any of those positions. I could have easily said yes, but God said no. I had high hopes that I would be able to minister in different churches after that, but that’s not how it happened. My wife and I began the search for a place just to worship. God made it clear that I needed to rest and focus on my newly blended family. The search for the right church was discouraging, but we finally found our place. What have I learned or been reminded of through this? My family is my first ministry. Because of what has already happened to my family through divorce, I refuse to put my family in an unhealthy situation. Our church allows us to be who we are, and they love us anyway. My focus has been more on worship than the logistics of making a service happen. There have been no demands, and we have needed that for a time. I have gained a greater love for what I do when God opens those opportunities. For a time, sermon preparation, singing, or even walking into a church re-opened the wounds that criticism and ostracism left. Because of a loving body of believers at our church and wonderful pastor friends who don’t play the political game, I have begun to find healing. Most importantly, the Lord is providing the healing by these and other means. To those who have been wounded because of the church, remember Jesus is nowhere near that. The source is the devil and people who very well may not know the Lord Jesus Christ as Savior. This weekend, I will preach the first Sunday morning sermon I have preached since November. I have no idea how this church will receive it, but I have full assurance that the Holy Spirit has been working in me and that God will use His Word despite me. 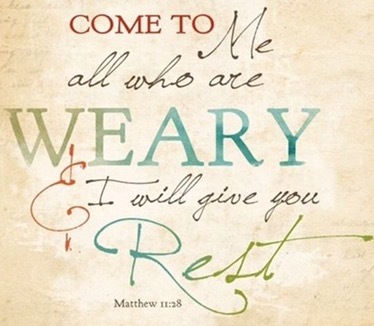 So I seek to rest in Him as I do His will. May the Spirit bless you with His words on Sunday. May the Lord rest easy in your heart and show you His love and peace. The healing process is so amazing. In your time of healing the seeds that God has planted has been watered. Those new seeds He will use to bring glory to His kingdom. He used you before and He will use you again but this time you are transformed more into his likeness. I know that the holy spirit will speak in you and through you. Amen! Congratulations on your first sermon in a while. May God’s blessings be on your words and His peace in your heart as you return to the pulpit. Great perspective and pray that your time to speak the Word of Life touched others hearts. You are correct our families are our first ministry priority. God used His Word to encourage a church that is really struggling.